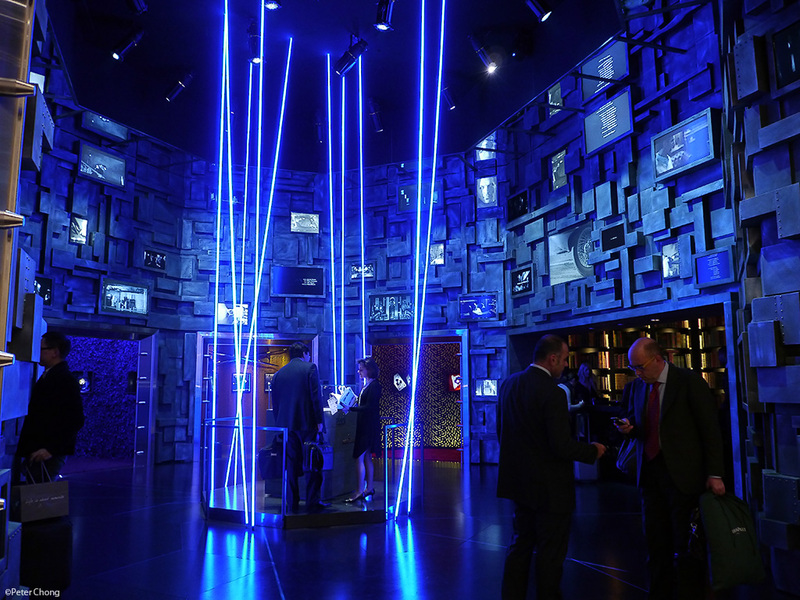 I omit the largest display - the one by Cartier, because it is spread across several booths...in fact it occupies one whole corner with its own refreshment area, and a museum like display which links their watches to icons of each era when the watches were introcduced. 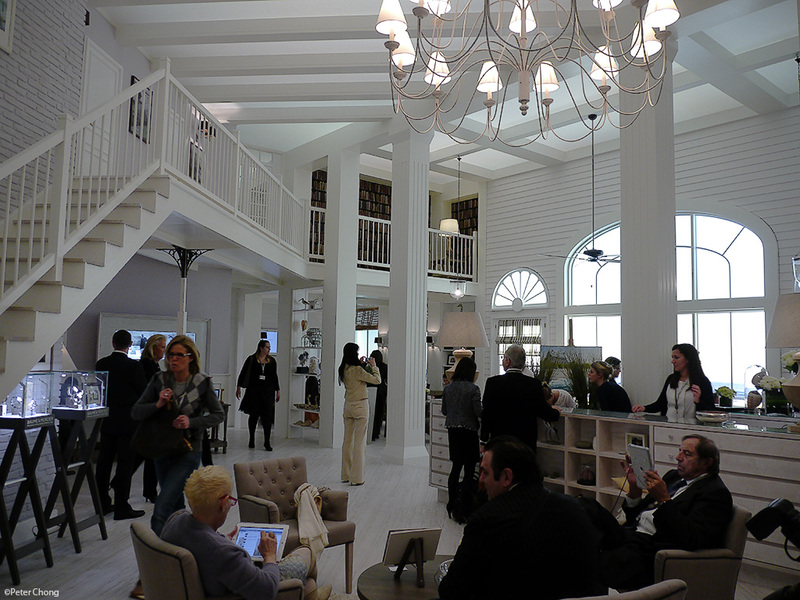 And inside the main double booth, the novelties were displayed a la musee. The appointment rooms and presentation rooms were in a seperate booth. 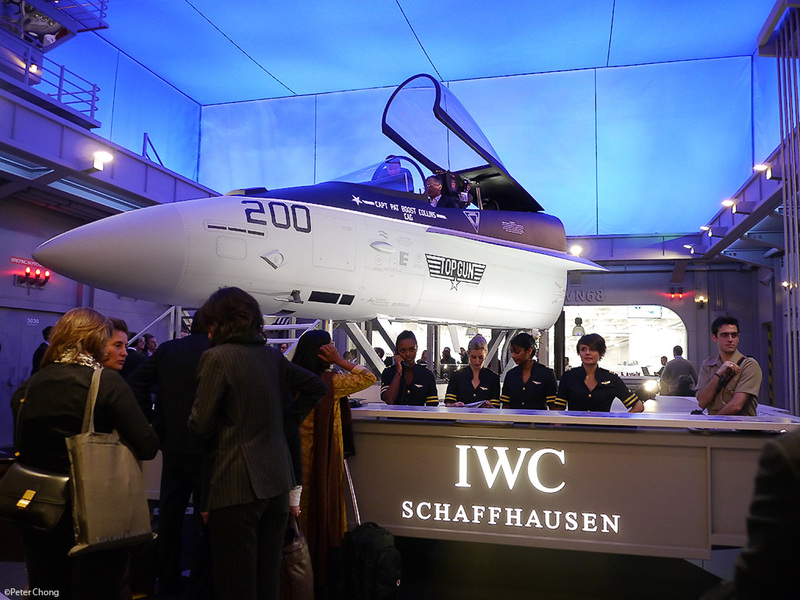 As one enters the booth, one is greeted with this reception table, manned by lovely ladies in what looked like US Navy uniforms. A life sized model of a fighter aircraft...one which one can climb up the stairs (yes, live size stairs) and take a flight simulation in the cockpit. Incredible. And all over the booth was made to look like an aircraft carrier. Reminded me of USS Midway which I boarded in 2010. USS Midway is a large aircraft carrier, now a museum anchored in San Diego. Even the sound of the engines rumbling...perhaps its my imagination, but I thought I smelt grease and sensed a rumbling on the floor too. Incredible. Gotta hand it to George Kerns and his folks. Last year they transported the Italian town of Portofino to Geneva. This year, they have done it with their amazing aircraft carrier. 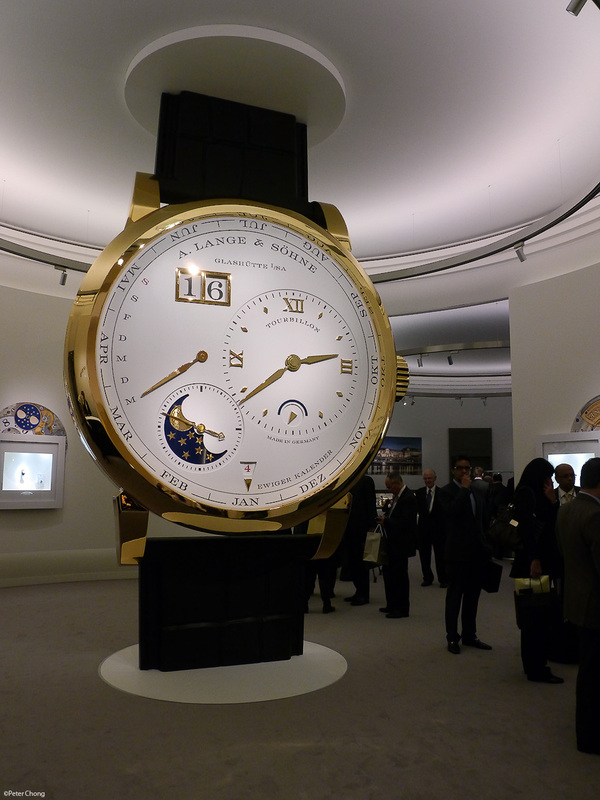 Lange had a giant image of their novelty - the Lange 1 Tourbillon Perpetual Calendar. An an amazing piece of Germany...weighing some 3.5 tons - a piece of rock from the Ore Mountains. And of course, their little bit of Germany in Switzerland came complete with Radeberger beer vom fass, and pretzels. 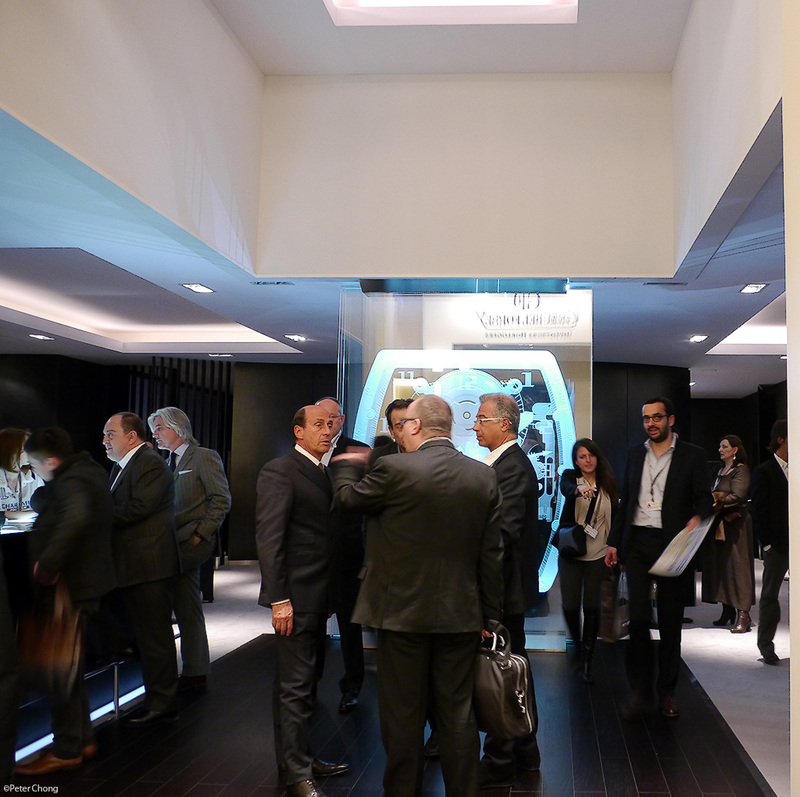 Right at the entrance of the SIHH is the Richard Mille booth, with a giant glass etched movement...much like the ones they have in their boutiques worldwide. Note Richard himself talking to a group at their foyer. 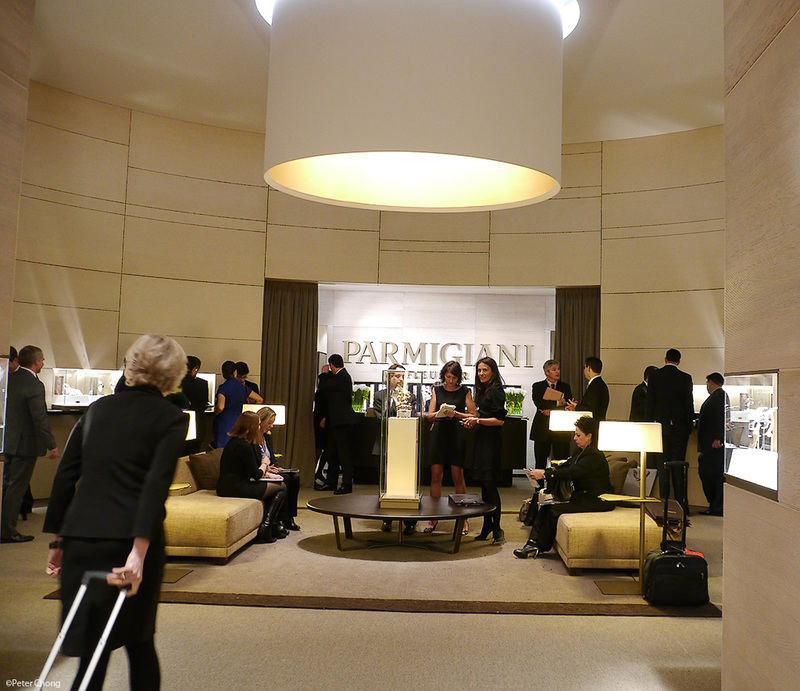 The Parmigiani booth exuded a quiet elegance, and looked more like the reception of a luxury hotel. 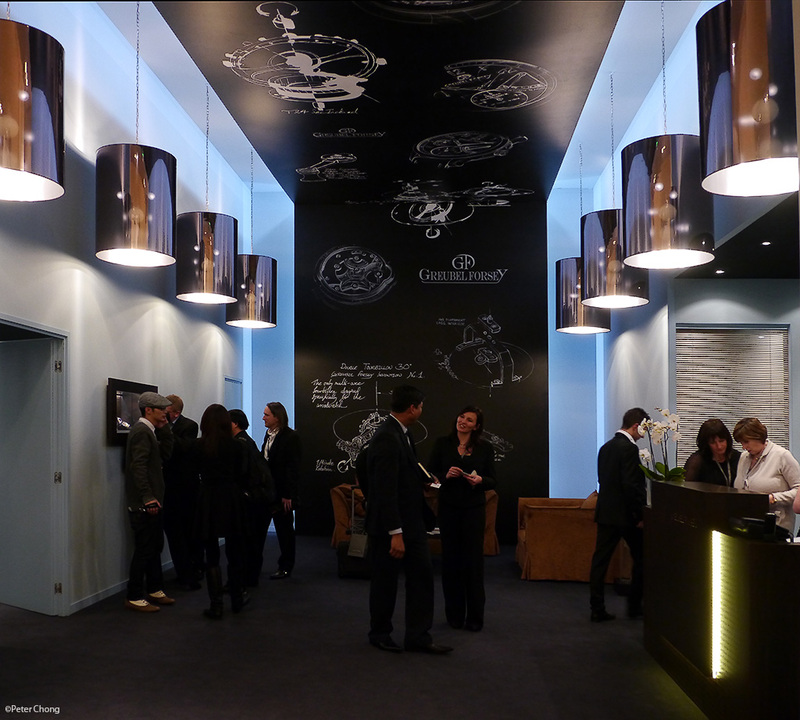 Greubel Forsey had a very traditional looking booth, except for a huge wall paper which flows over to the ceiling. The custom wall paper was inscribed with sketches and drawings of the conceptual development of their watches. And housed, in a workshop on the far left in the picture, is Philippe Dufour's workshop. 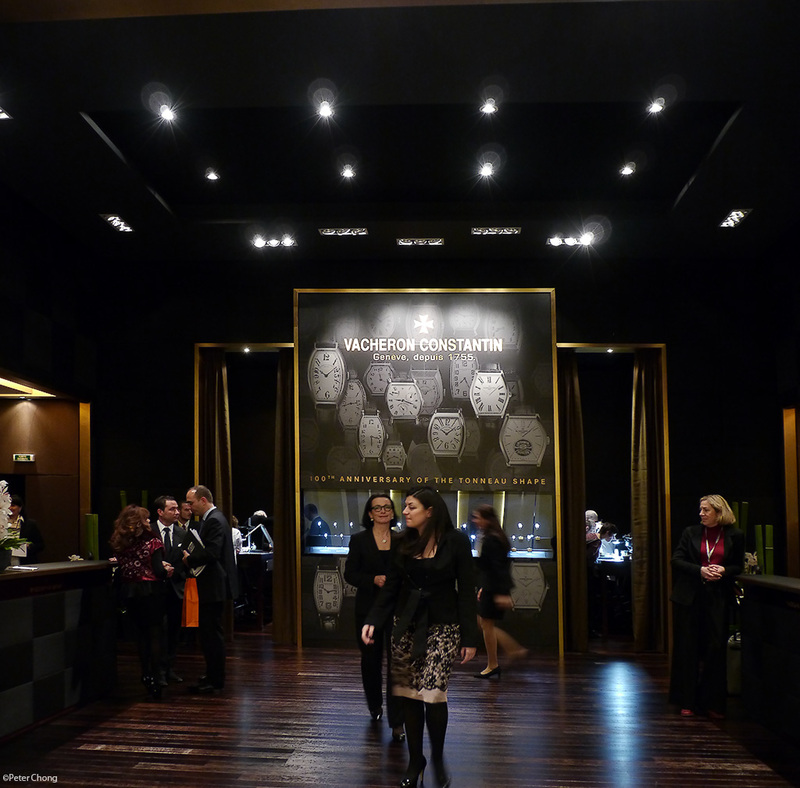 Vacheron Constantin also had a rather traditional looking booth, celebrating their Malte...a huge poster with images of the Malte. Quiet and elegant. Felix in his red suit deep in the room at the far end of this photograph.